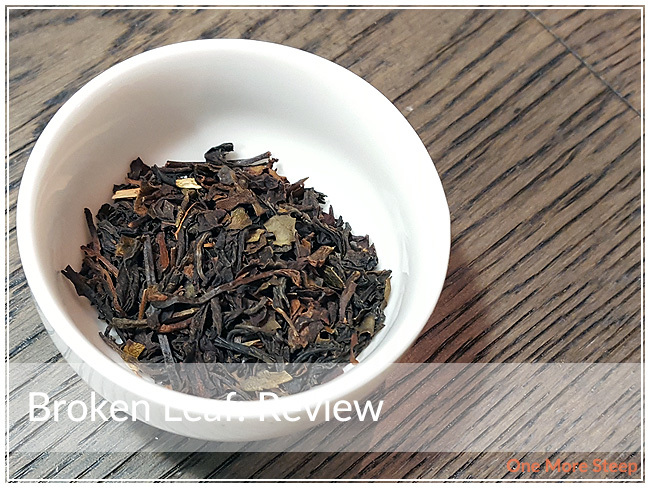 Teazorean has provided me with Broken Leaf for the purposes of providing an honest review. I mentioned some information of Teazorean’s conservation efforts in my last Teazorean (Orange Pekoe). 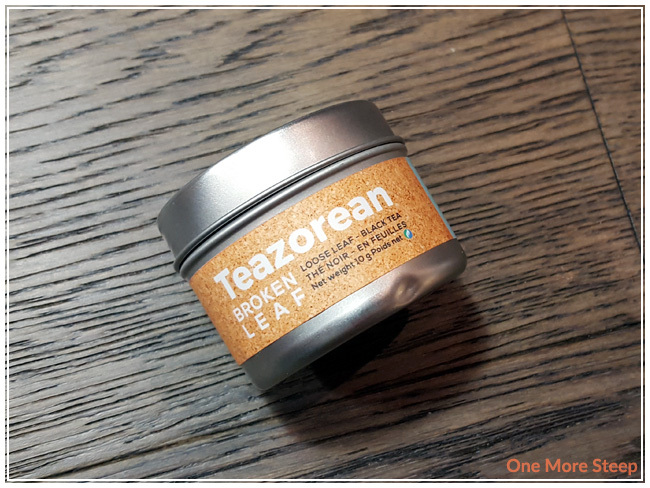 The loose dry leaf came to me in a cute little tin, kind of the perfect size to tote extra tea in your bag around. The dry leaf has a mixture of dark brown and reddish brown leaves, and there were some small sticks that I noticed in there as well. The sampler tin holds 10g of tea, I used approximately 3g for my small teapot. Broken Leaf is a straight black tea. 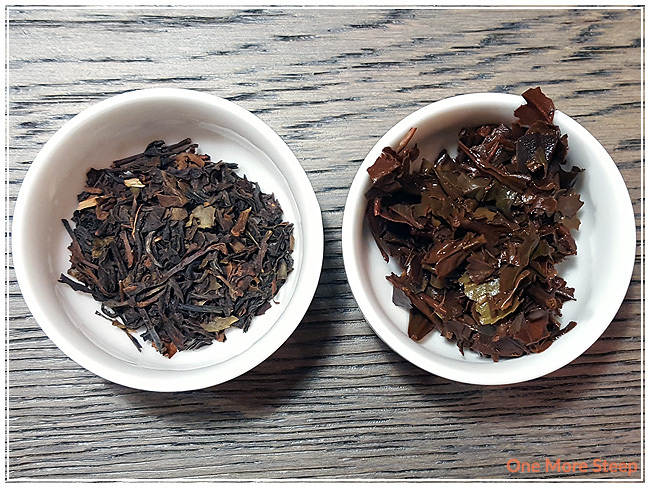 The smell that comes from the black tea leaves was a malty aroma, that reminds me a bit of Assam tea, and there’s some peachy-apricot aromas coming from the tea leaves as well. Teazorean recommends steeping Broken Leaf in 205°F (96°C) for 5 minutes. Broken Leaf steeps to a lovely light golden orange, it’s more pale that I expected for a black tea when I steeped it according to the length of time suggested by Teazorean. On first taste, the first thing that I noticed was the honey sweetness in this tea. Despite the aroma of the dry leaf having a maltiness to it, I noticed that there was quite the minimal malty flavour to it, and there was an apricot finish to each sip. I resteeped Broken Leaf two additional times. 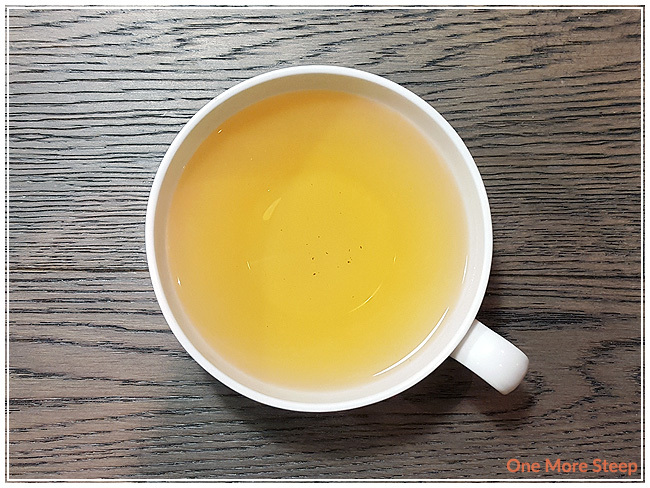 I found that the first resteep was slightly weaker than the inital steep – there was more apricot flavour that came out in the tea. The second resteep was weaker still, and not as enjoyable as the initial and first resteep. I would say that Broken Leaf is a good choice for one more steep. I liked Teazorean’s Broken Leaf. I found the aroma of the dry leaf and the taste of the steeped tea to be enjoyable. 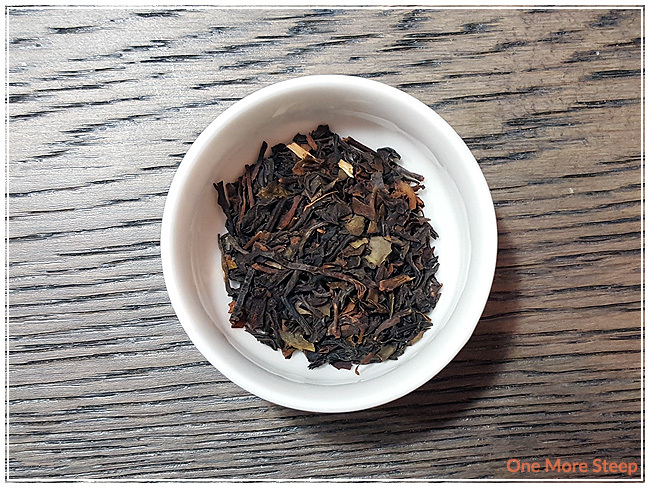 The honeyed sweetness and the apricot flavours are delicious, and I think it’d be a great alternative to the traditional Earl Grey for an afternoon tea because it has a different flavour profile, but still has the robust flavours of a strong black tea.